Overall race leaders Team Telefónica extended their Leg 7 advantage to nine nautical miles on Thursday, as a pair of high pressure systems threatened to create a north-south split in the fleet. 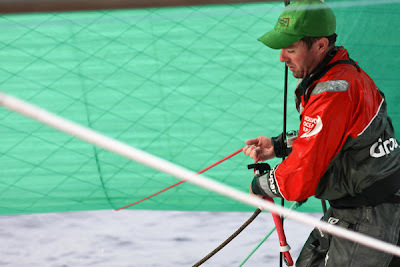 However at 1300 UTC both Telefónica and second placed Groupama were being closed down by rapidly charging third and fourth placed Abu Dhabi and PUMA, 18 and 21 nautical miles (nm) behind respectively. 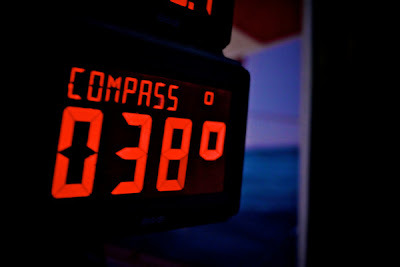 Fifth placed CAMPER were the biggest gainers, taking 41 nm out of their distance to lead total. 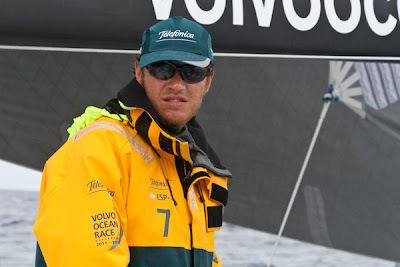 Sixth place team Sanya also closed up significantly, moving to within 66 nm of the lead. 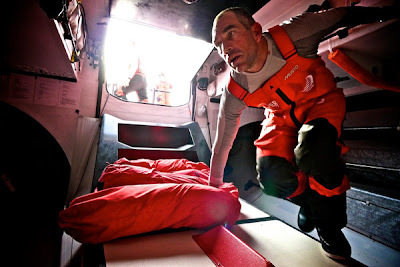 Having missed an opportunity to hook into an easterly moving cold front, the crews now have no option but to head north to swerve around the semi-permanent Azores High weather system, Race meteorologist Gonzalo Infante said. 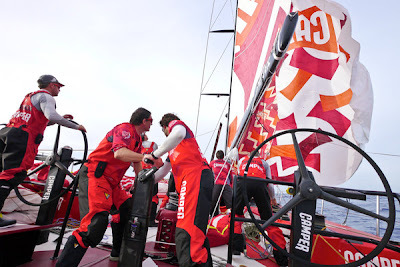 The split could come as the teams negotiate a new high pressure that is also moving east from Newfoundland, with PUMA Ocean Racing powered by BERG, CAMPER with Emirates Team New Zealand and Team Sanya looking more likely to choose the northerly option, skirting closest to the ice exclusion zone put in place by the race organisers. 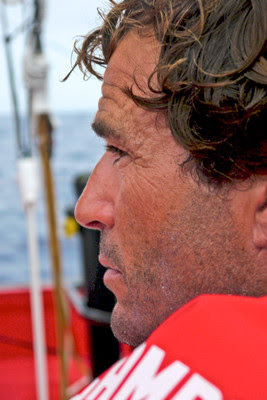 “They will likely head around the top of the new high, mostly in downwind conditions,” Infante said, adding that Telefónica, Groupama sailing team and Abu Dhabi Ocean Racing were more likely to stay south and sail upwind through the bottom of the high before the boats converged again in around five days' time. 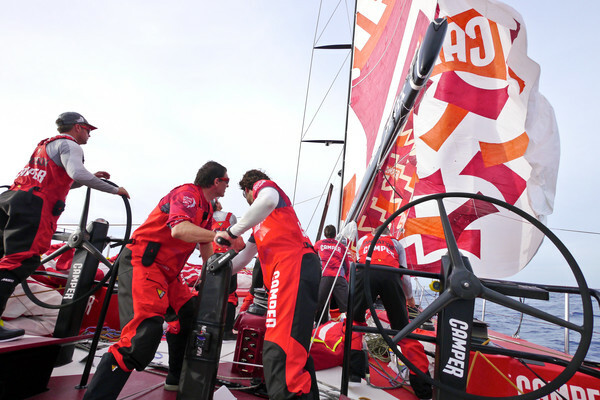 Telefónica navigator Andrew Cape said that given the unpredictability of the weather, the Spanish team had been focusing primarily on maximising their boat speed. Cape said the coming days could easily undo all their good work but declared himself content with their positioning. “There’s too many little tricks up ahead to know what’s going to happen but we’ll keep pushing, and we’re very happy,” he said. “It will be very interesting. We’re certainly where we want to be and hopefully it will all come together from here." 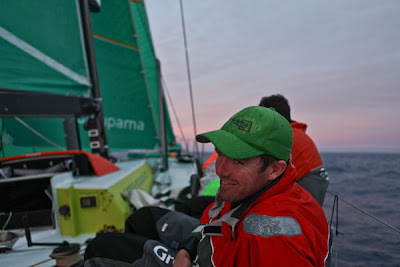 Team Sanya watch captain Richard Mason believes the northerly option to be the safest route through the high pressure systems and expects his team to head that way for around a day and a half to avoid the clutches of the light wind zone. Mason said the Sanya crew welcomed the onset of unstable conditions which could give them a chance to steal a march on the fleet from behind. “It does present plenty of options and we have managed to pull a few miles back on the guys in front which is always heartening,” he said. 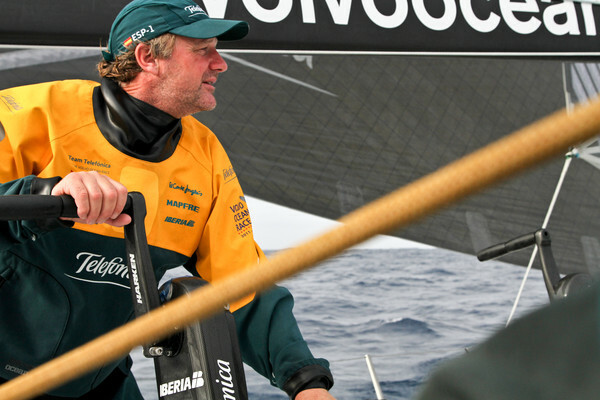 Abu Dhabi skipper Ian Walker said hopes of a direct route to Lisbon had now evaporated with the arrival of the new high pressure from the north. Walker said there could well be a leg leaderboard reshuffle coming. Latest estimates have the leading boats arriving in Lisbon on or around May 31.